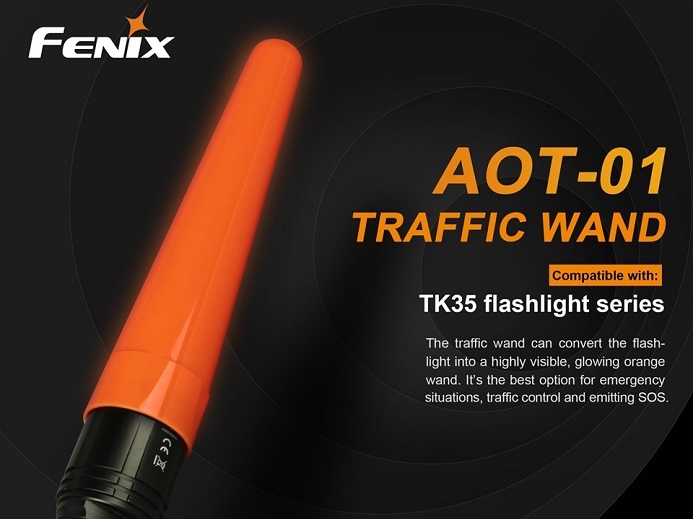 The Fenix AOT-01 traffic wand is designed for our TK35 and TK35UE flashlights. 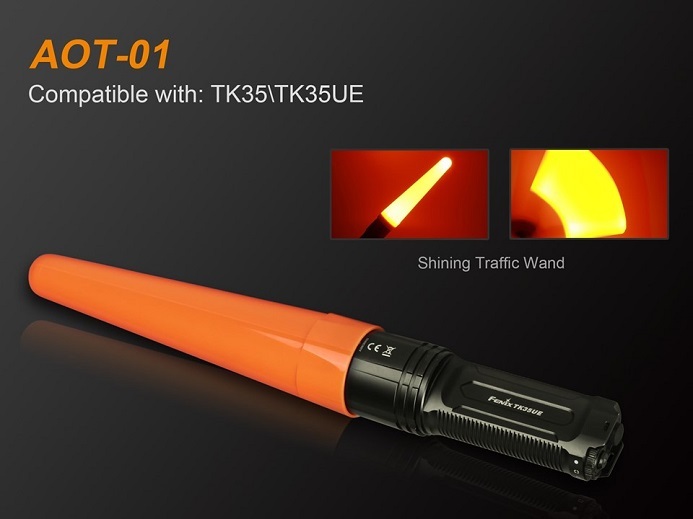 Easily convert your TK35 flashlight into a highly visible traffic wand perfect for Police officers, First responders, Hazmat, and other traffic control and signaling situations. 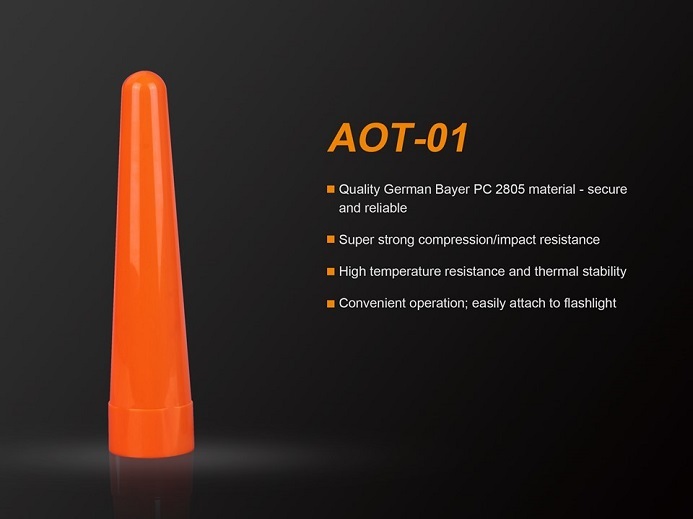 • Easy assembly and convenient operation.